There are 22 lines of the pins available for the user to program. 20 of these lines can be set as logical input (GPI) and interrupt (PCInt). Furthermore 19 of them can be set as logical output (GPIO). The high output level is almost equal with the VCC (3.3V) and the output low level is equal with Ground (0V). The input high level must be more than 2.6V, and the input low level must be less than 0.3V. To setting pins as output, there is a PCI function. The “SetPinsAsOutput(uiArg)” function has a 32bit argument. Furthermore the argument determines which PortBit should be set as output with logical “1”. Another port bits will remain unchanged. For example to setting the A03 pin (PortBit 0) as an output, the argument should be “0x00000001”, which the first bit in the argument is logical “1”. The “SetPortLatch(uiArg)” function puts the pin of the port bit which is logical “1” in the logical high level. Another pins will remain unchanged. The “ClearPortLatch(uiArg)” function puts the pin of the port bit which is logical “1” in the logical low level. Another pins will remain unchanged. The “WritePortLatch(uiArg)” function puts the pin of the port bit which is logical “1” in the logical high level. Furthermore the port bits which are logical “0” will change into low level voltage. 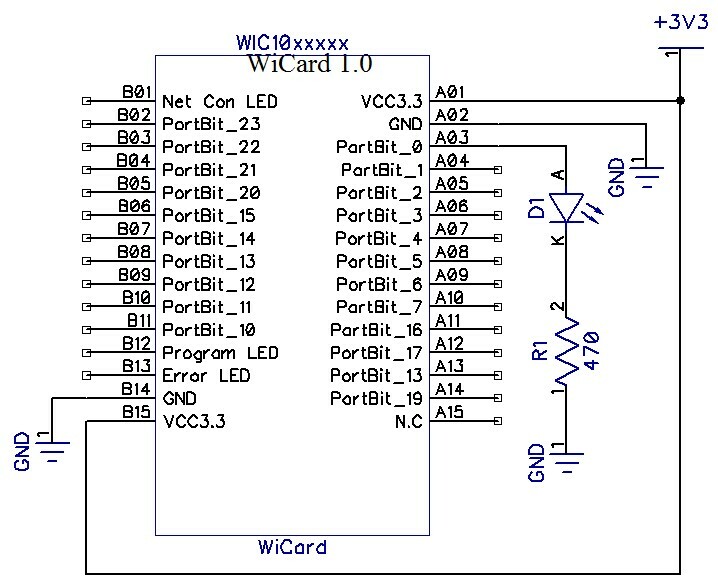 To setting pins as input, there is a PCI function. The “SetPinsAsInput(uiArg);” function has a 32bit argument. The argument determines which PortBit should be set as input with logical “1”. Another port bits will remain unchanged. For example to setting the A03 pin (PortBit 0) as an input, the argument must be “0x00000001”, which the first bit in the argument is logical “1”. 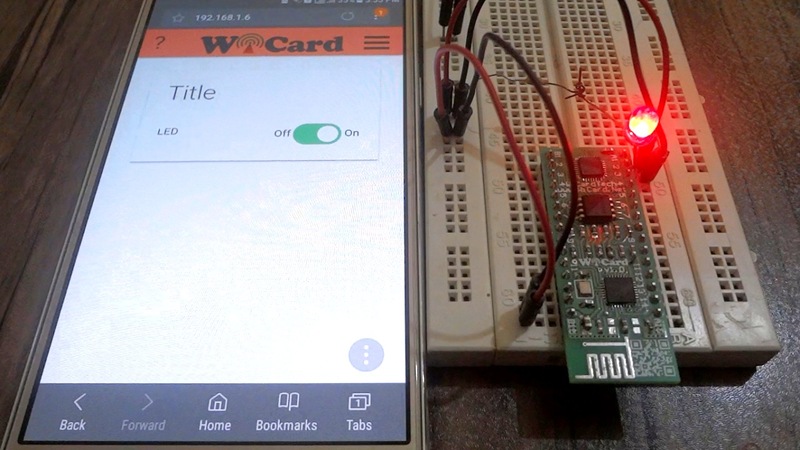 The “SetPortLatch(uiArg)” function connects an internal pull up resistor (about 20KOhm) to the input pin of the port bit which is logical “1”. Another GPIO pins will remain unchanged. The “ClearPortLatch(uiArg)” function disconnects the internal pull up resistor for the input pins and puts the pin of the port bit which is logical “1” in the tri-state (HiZ). Another GPIO pins will remain unchanged. Also to finding out another stuff about WiCard WiFi Module, please refer to our home page and blog.